Last week’s Public Lands Blog post, “Half of the National Environmental Policy Act is a Dead Letter,” examined the substantive provisions of NEPA that the courts soon found to have no substance after all. Only the half of NEPA that is procedural is enforceable in court against federal agencies that violate it. And now that half is under attack from the president and from Congress. This post examines that threat and what you can do about it. 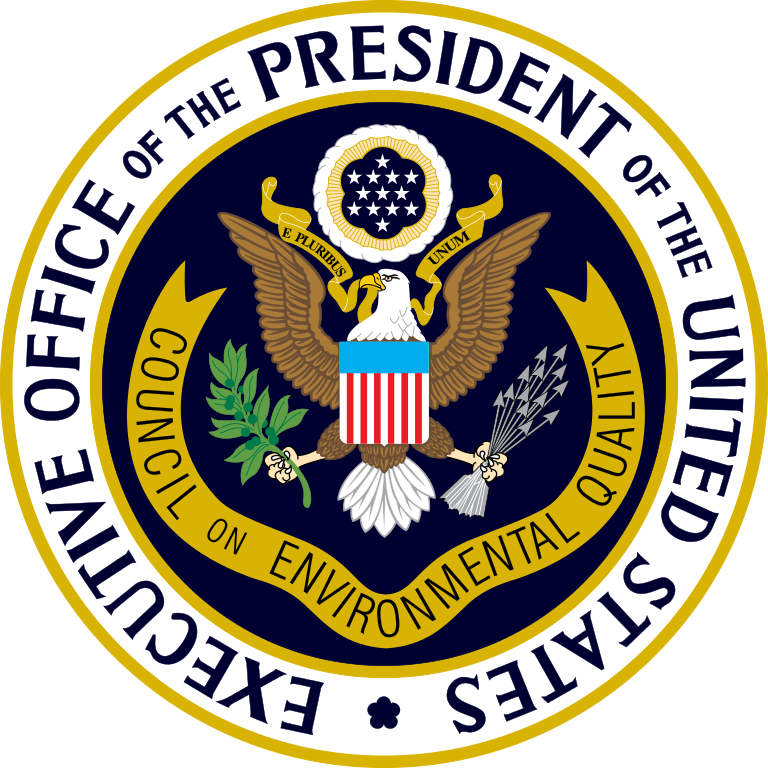 The Council on Environmental Quality is an executive branch entity. The “detailed statement” called for is what is now known as an environmental impact statement (EIS). Things that we know today as environmental assessment (EA), record of decision (ROD), finding of no significant impact (FONSI), and most categorical exclusions (CEs) arise from the NEPA regulations, not the NEPA statute. The first regulations springing from NEPA were issued by the White House Council on Environmental Quality (CEQ). As soon as he signed NEPA into law in 1970, President Nixon, by executive order, told the new CEQ to issue regulations. In 1977, President Carter, also by executive order, directed CEQ to issue regulations providing for uniform NEPA implementation across all federal agencies and also requiring all agencies to comply with the CEQ regulations. In 1986, under the Reagan administration, the CEQ NEPA regulations were amended to eliminate a requirement to consider the “worst case” situation. In August 2017, President Trump announced his intent to “enhance and modernize” the NEPA regulations, and CEQ responded with a list of actions the following month. In June 2018, CEQ issued an “advance notice of proposed rulemaking” (ANPR) in the Federal Register. The ANPR posed twenty questions that while generally sounding neutral in tone are actually quite loaded, signaling an intent to emasculate the CEQ regulations. Revisions to the CEQ regulations would have potentially far-reaching significance because NEPA requirements are largely defined in the regulations themselves, and the regulations have remained essentially unchanged for nearly 40 years. . . . CEQ’s announcement also can be viewed as the latest step in a long-running effort to reduce the burden, time and cost involved in environmental reviews under NEPA. . . . Because the statute itself includes few specifics, the opportunity to revise the CEQ regulations opens the door to potentially wide-ranging changes in NEPA requirements. Many conservation organizations have filed comments on the proposed changes, including 341 public interest organizations that joined together in a collective response. We now wait for the shoe to drop in the form of the actual draft rule change being issued. At least forty-nine bills presently in Congress would, in various ways, weaken NEPA. From a public lands perspective, the most particularly egregious include the House version of the 2018 Farm Bill. The conservation community is vociferously opposing these anti-environment provisions being included in the final Farm Bill. Yet, we are swallowing anti-environment provisions in the Senate version of the bill because those were championed by Democrats who, though in the minority, had the support for them from Republicans on the Agriculture Committee. NEPA trashing can be bipartisan. If the House and Senate conferees can agree, a final Farm Bill will be voted on after the November midterm elections. [NEPA] is a critical law that empowers local communities to protect themselves and their environment from dangerous, rushed or poorly planned federal projects. . . . We teach our children to “look before they leap.” NEPA requires our government to do the same. . . .
NEPA is the foundation of reasonable, balanced, and transparent protections for our environment. With the passage of NEPA, Congress recognized that government actions can have large-scale and profoundly detrimental effects on the environment and the health of local communities. At its most basic level, NEPA requires government agencies to engage in a review process intended to discover any significant environmental and public health impacts before a decision is made and construction begins. . . . NEPA simply and sensibly ensures the federal government informs and is responsive to the public it serves. Thanks to NEPA, millions of people have been given a voice in federal government decisions impacting their life they did not have before. 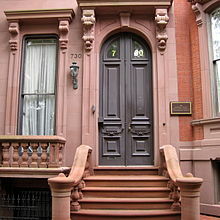 From its beginning CEQ has been housed in a townhouse on Jackson Place, near The White House but outside security, making it much more accessible. This is where I would usually make a plea for you to contact CEQ and tell them you oppose changing the CEQ NEPA regulations. However, that would be a total waste of time on your part, even if it causes Trump’s CEQ to waste a nanosecond dismissing your concern. Like no administration before it, the Trump administration is immune to opprobrium (“harsh criticism or censure; the public disgrace arising from someone’s shameful conduct: the opprobrium of being closely associated with thugs and gangsters”). At every level and in every department, this administration simply does not respond to public concern. No amount of public pressure will move the Trump administration to not gut the NEPA regulations. Fortunately, national conservation organizations will comment at every stage of the emasculation process. Not because they believe they can make a dent with the administration but to secure legal standing for the inevitable court challenges. Under the Administrative Procedure Act, an administration can change regulations, but it has to have a rational reason based on substantial evidence. Making it easier for exploiters to harm the earth may be a political reason that appeals to their political base, but it’s not a legal reason that might appeal to a federal judge. I urge you to protect the National Environmental Policy Act (NEPA) from legislative attacks. NEPA ensures that our communities have a say in major federal decisions that affect our health and safety. It is often the only way for people to voice their concerns about the consequences federal projects will have on their communities and demonstrate how local expertise can improve them. Our communities are safer and healthier because of NEPA. Therefore, I urge you to vote against any bills that would weaken or in any way undermine the federal government’s environmental review process. An attack on NEPA is an attack on our ability to keep our communities safe and healthy. As a member of Congress, it is in your power to protect us from hasty decision making that puts our communities at great risk. Protect our voice and protect our environment – protect NEPA. It is more worth giving money to conservation organizations to fight for NEPA, especially if they have lawyers and lobbyists. But you can do better. It is most worth giving money to conservation organizations that—though they may or may not have lawyers and lobbyists—engage in elections. Alas, most conservation organizations have chosen an IRS status of (c)(3) rather than (c)(4). Those organizations with the former are prohibited from engaging in elections, while donations to the latter kinds of organizations are not tax-deductible to the giver. I would argue that it’s more important to improve your elected officials than reduce your tax bill. • The (c)(3) Oregon Wild has its (c)(4) Oregon Wild Leadership Fund. • The Sierra Club is a (c)(4), but the related Sierra Club Foundation is a (c)(3). • The (c)(3) Defenders of Wildlife had a (c)(4), but has let it atrophy. In 2006, the Defenders of Wildlife Action Fund was instrumental in defeating Rep. Richard Pombo, the most horrible chair ever of the Committee on Natural Resources of the U.S. House of Representatives. • The (c)(3) Natural Resources Defense Council has an affiliated (c)(4), the NRDC Action Fund. The Oregon League of Conservation Voters is a political action committee (even better than a [c]! ), but also has the (c)(3) OLCV Education Fund. • The national League of Conservation Voters is also a political action committee. • The (c)(3) Center for Biological Diversity has an affiliated (c)(4), the Center for Biological Diversity Action Fund. • The (c)(3) National Wildlife Federation has an affiliated (c)(4), the National Wildlife Federation Action Fund, but the latter doesn’t engage in election, so why bother. • The (c)(3) Environmental Defense Fund has an affiliated (c)(4), EDF Action. • The (c)(3) Friends of the Earth has an affiliated (c)(4), Friends of the Earth Action.